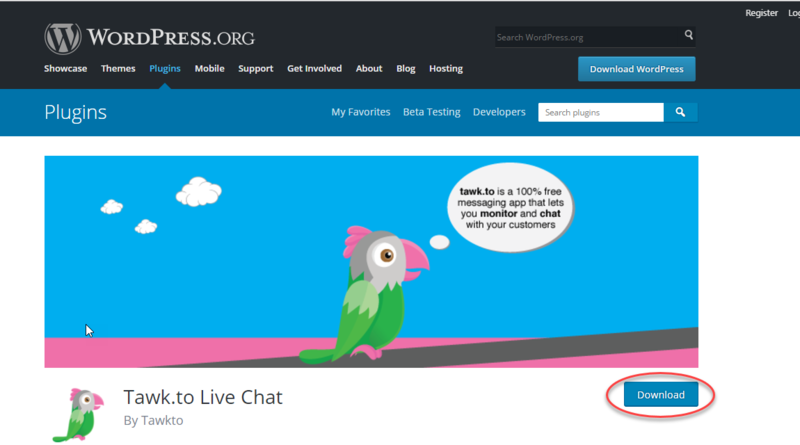 Home / How to Integrate Live Chat System Tawk.to on your WordPress Site? We assume you have already installed WSDesk Help Desk Plugin. If not, you can get purchase it and get started. Now let’s see how you can enhance the experience for your customers while using our helpdesk system. The debate on the effect of live chat software on customer satisfaction is still on. However, we are presenting a simple tool that you can use along with WSDesk to instantly interact with your customers and site visitors. Here is a quick guide on how to integrate it on your WordPress/WooCommerce site. First, sign in to your WordPress Site. 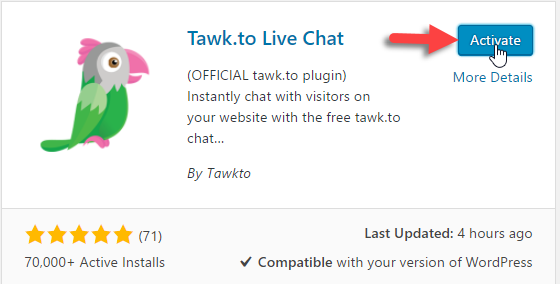 Type ‘tawk’ in the search window and find the Tawk.to Live Chat plugin by Tawkto. Click Install Now button. Once the installation is complete, click the Activate button. Alternately, you can download the zip file of the plugin and upload it directly to your site. Download the plugin from the WordPress site. Again, go to Plugins > Add New. Instead of typing tawk, click the Upload Plugin button. Choose the already downloaded zip file and click the Install Now button. To integrate Tawk.to plugin on your site, you need to go to the plugin settings page and sign in to your Tawk.to account. 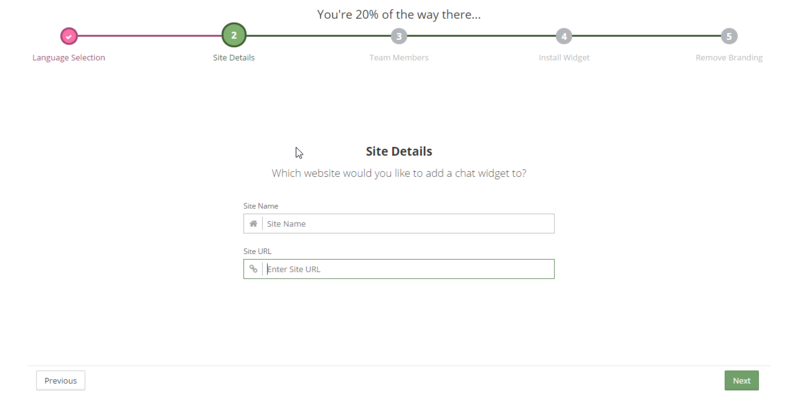 Enter your site name, URL and follow the simple steps to get the live chat widget Tawk.to integrated on your site. Wishing you a smooth and seamless customer care process on your store!